The winter months here in Hamilton, Ontario can be incredibly brutal. 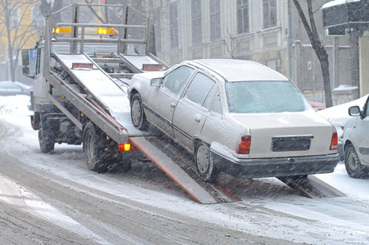 With ice, snow, and windy conditions, vehicle breakdowns can turn potentially life threatening. At Hamilton Towing, we offer winter road assistance, no matter what type of service you are in need of in terrible weather. If you run out of fuel this winter, or are experiencing mechanical issues, our recovery specialists will be there in no time to get you safe and warm again. We will tow your car to an appropriate location, and help you find solutions to getting your vehicle up and running again. We bring all necessary equipment, chains, and fuel if necessary. You can always call us at 289-768-2638, no matter what time of day, and in any type of weather conditions. To better care for our customers, we offer helpful and life saving tips to help prepare for winter road conditions and possible break downs. The first action to take is to keep your vehicle regularly maintained. Make sure you check the pressure in your tires and have your antifreeze ready for the harsh weather here in Ontario. With regular vehicle check-ups, this ensures your vehicle is in top shape for traveling on winter toads. We also advise keeping blankets, jackets, and water in your vehicle in the event of a breakdown. Also, make sure you avoid driving when visibility is poor. Pull off safely to the side of the road, and proceed when you feel visibility has increased. When winter weather is extremely harsh, do your best to not have to travel in it. If you must, travel safe, and make sure you always have a phone with you. We want our clients to avoid stranded situations if possible, but if you do breakdown, we will be there to assist you as soon as possible. 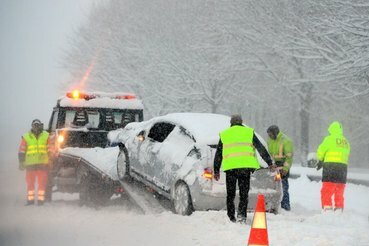 Take advantage of our emergency service, and get yourself off the harsh winter roads when you experience breakdowns. We offer incredible ease for our customers. We accept all major credit cards as form of payment. Our representatives can also direct you to the nearest ATM when cash is low. Just let us know what you need, and we’ll do our best to assist you. Call us with any questions or concerns you have about your vehicle. Let our professionals lend you a helping hand, if you’re ever in need of winter road assistance. Next time someone is illegally parked in your lot; be sure to call our unauthorized parking service to have it removed legally and professionally. Being left stranded in winter weather is dangerous and life-threatening. Call us at 289-768-2638, and we’ll arrive as soon as possible. 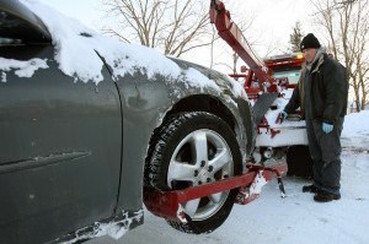 Our tow trucks are equipped to handle the winter weather and get to you with relative ease. Our customer representatives are standing by, so don’t be caught unprepared this winter. We serve the Hamilton area and surrounding areas, so don’t hesitate to contact us if you find yourself broken down in our harsh weather here in Ontario.